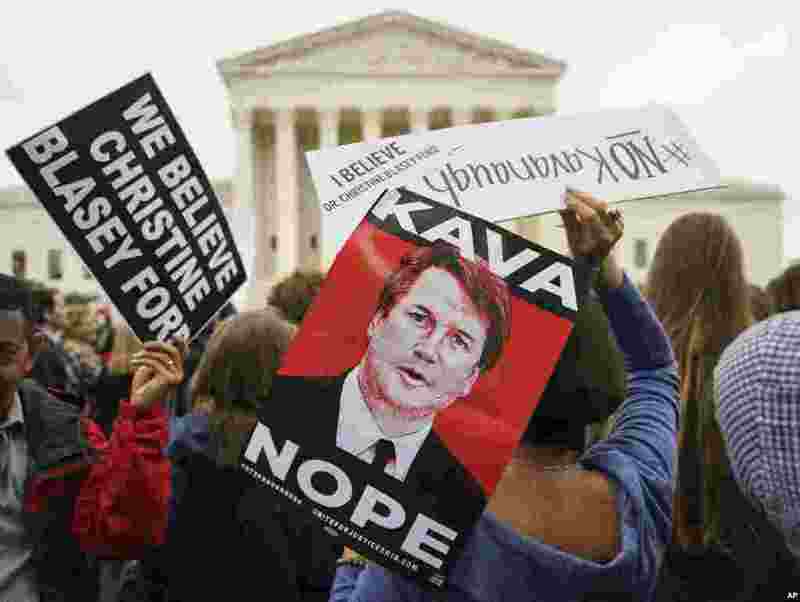 1 Protesters gather in front of the Supreme Court holding signs with the image of Judge Brett Kavanaugh that read "Kava Nope" and "We Believe Christine Blasey Ford" on Capitol Hill in Washington. 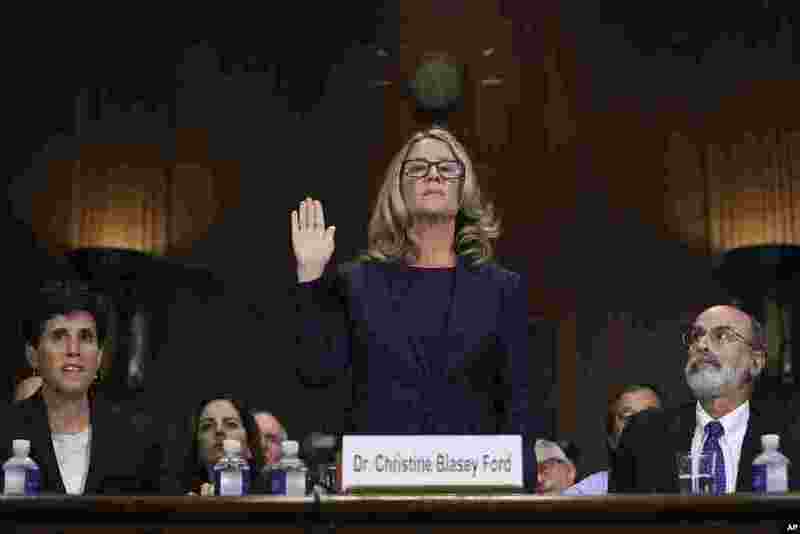 2 Christine Blasey Ford is sworn in before the Senate Judiciary Committee, in Washington, D.C. Dr. Ford, who accused Supreme Court nominee Brett Kavanaugh of sexually assaulting her decades ago, provided detailed and emotional testimony before the panel. 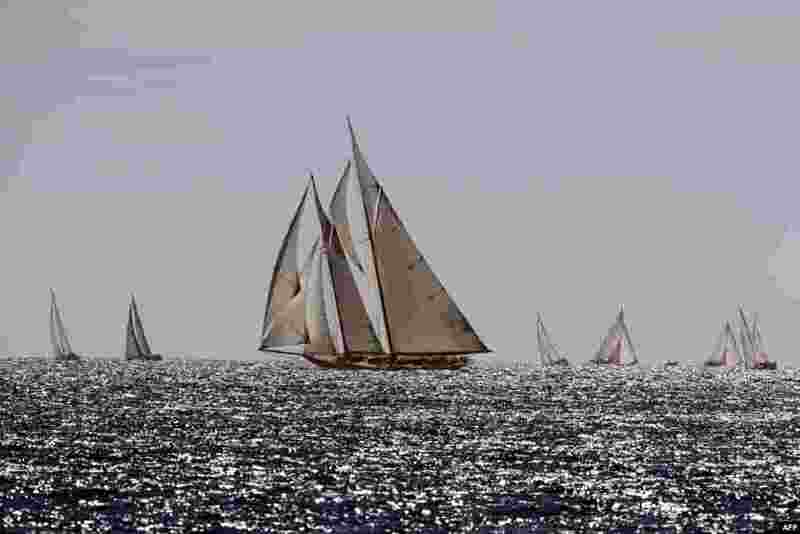 3 Contestants compete during the 40th edition of the "Regates Royales" off the coast of Cannes, southeastern France. 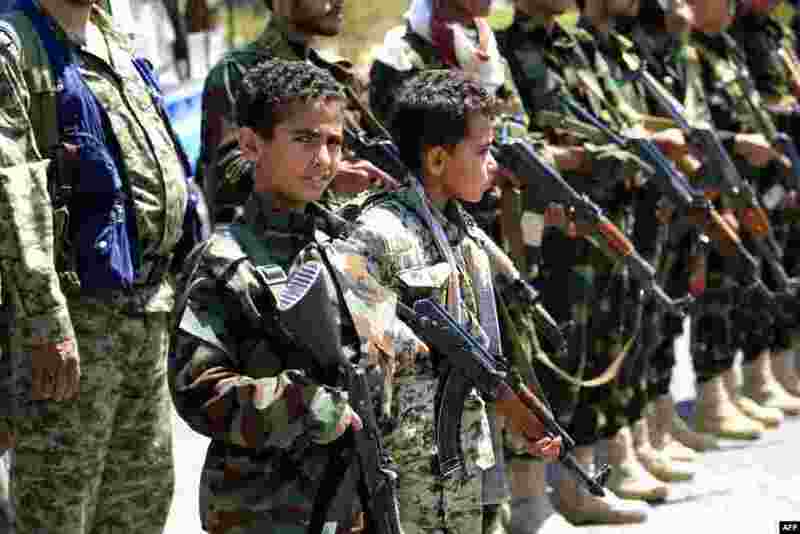 4 Yemeni children accompanied by their fathers hold weapons during a gathering in Sana'a to show support for the Huthi Shi'ite movement against the Saudi-led intervention.